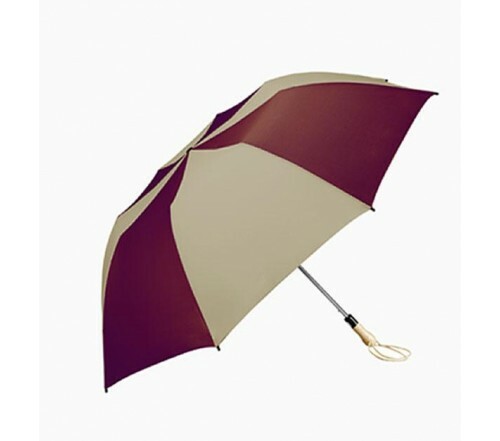 Personalized burgundy & khaki 58” arc traveler auto – open umbrellas are employed as campaign boosters because they can grab attention with their striking color profile. We process most orders for this umbrella from marketers in fashion, and creative niches. 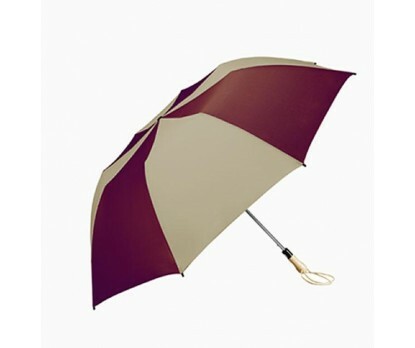 Promotional burgundy & khaki 58” arc traveler auto – open umbrellas make a best gifting choice for marketers working in constrained marketing budget. Features –an overpowering 58” arc burgundy and khaki canopy, wooden handle and a sturdy metal shaft. Dimension – 58” arc closes to 22”. Imprint area – 12 1/8” W X 11 3/4 H X 6” Top.